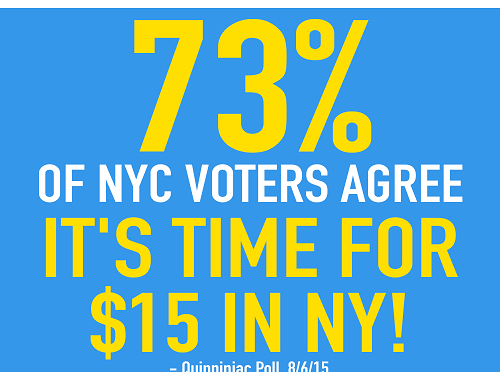 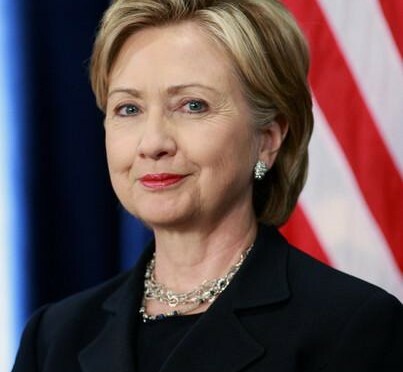 73% of NYC voters agree: It’s time for $15 in NY! 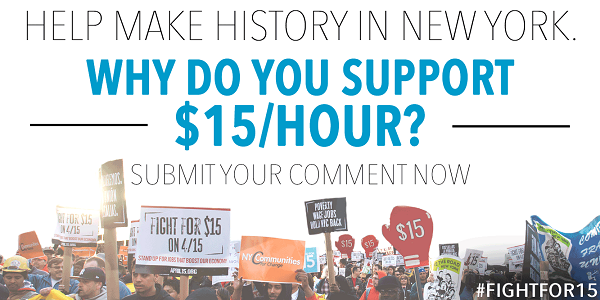 Two-and-a-half years after 200 fast-food workers first went on strike in New York City to demand $15 an hour and union rights, Gov. 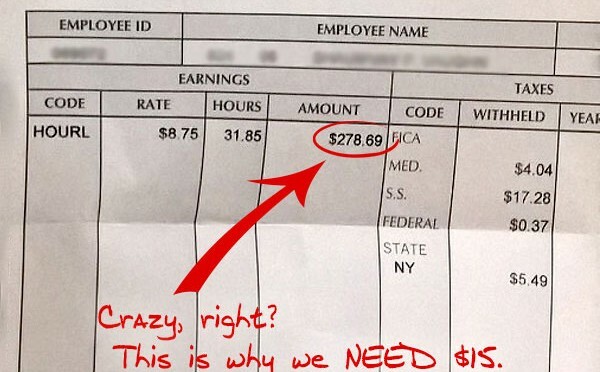 Cuomo’s Fast Food Wage Board recommended Thursday that the minimum wage for fast food workers throughout New York State be raised to $15 an hour. 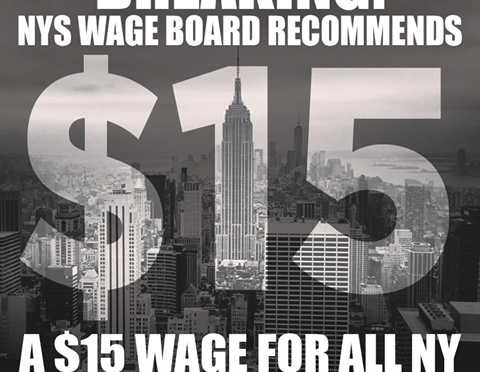 The Wage Board convened by New York Governor Andrew Cuomo took a bold stand for the Fight For $15 – and helped us pave the way to a $15 wage for New York fast-food workers. 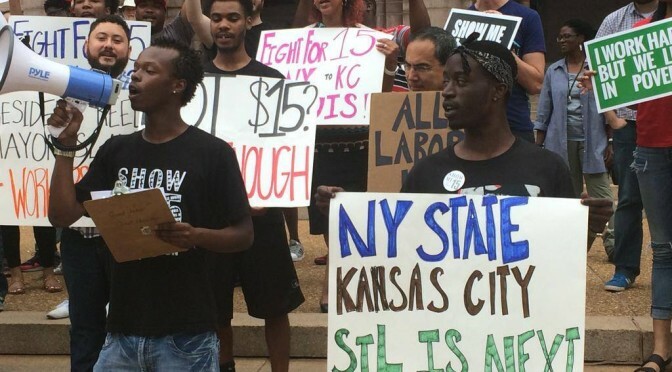 We NEED $15 too: Underpaid workers rally nationwide for $15! 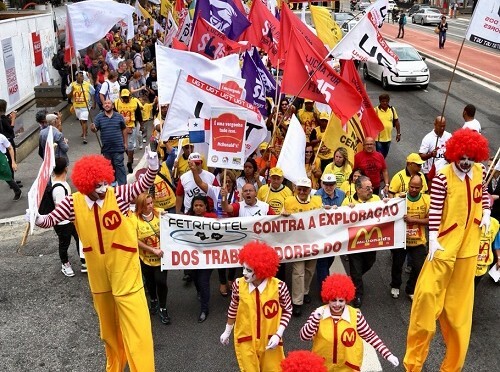 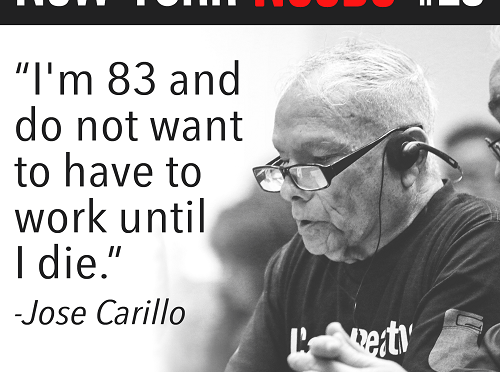 In dozens of cities across the country, fast-food, home care, child care and other underpaid workers sharpened their calls for $15 and demanded that their elected leaders follow New York’s lead and find a path to $15 an hour and union rights. 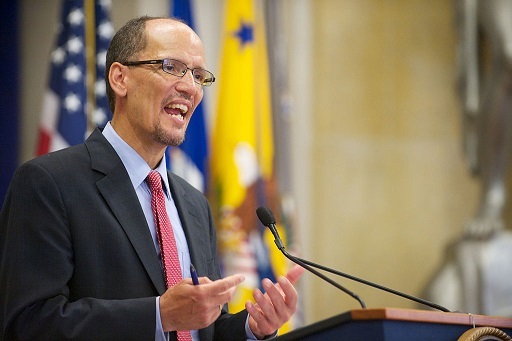 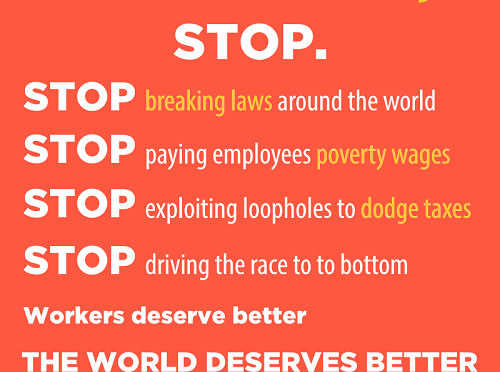 We won’t stop fighting until we WIN $15/hour for all underpaid workers across the country.